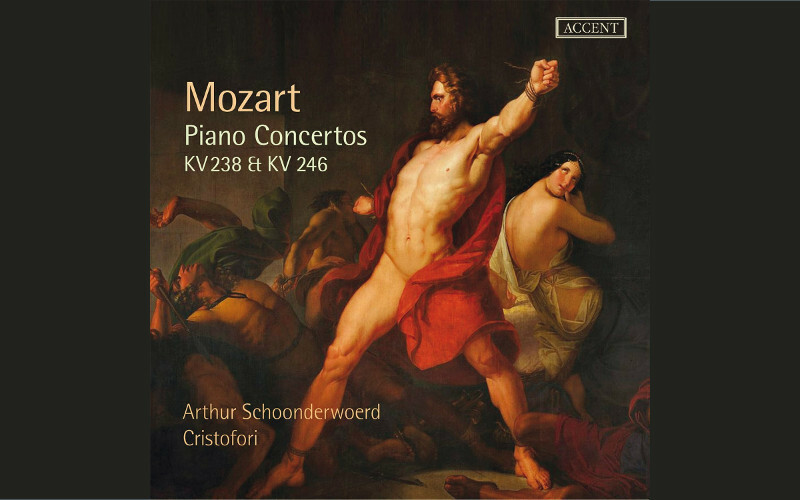 Arthur Schoonderwoerd, one of today’s most sought-after interpreters on the fortepiano, presents the fourth part of his complete recording of Mozart’s piano concertos on the Accent label with this release of the two early Piano Concertos, KV238 and KV246. As on their previous issues, Schoonderwoerd and his ensemble Cristofori here liberate Mozart’s works from traditional 19th-century sound concepts: each string part in the orchestra is played by just one performer; the result is a very slender, transparent sound that supports the solo instrument without ever covering it up. In the Concerto in B-flat major, KV 238, the fortepiano attains a range of five octaves for the first time in Mozart’s oeuvre and requires a correspondingly larger instrument. The Concerto in C major, KV 246 has numerous dynamic markings in the solo part and was thus probably intended for a ‘modern’ fortepiano with these possibilities at its disposal. Although long dismissed as a mere dilettante concerto, this work is anything but technically undemanding when presented on an instrument of its time. Schoonderwoerd plays these concertos, both composed in Salzburg in 1777, on a replica of a fortepiano by Späth & Schmahl from the last third of the 18th century. The recording is rounded off by two alternative cadenzas to the Concerto, KV 238 and the concert arias ‘Si mostra la sorte’ (KV209) and ‘Con ossequio, con rispetto’ (KV210), sung by the young Spanish tenor Francisco Fernández-Rueda.